Summer Movies: Best Flicks About The News Biz Hollywood tells many tales of the news business: the music reporter after the big story in Almost Famous, the eager TV reporter with a lot to learn in Up Close and Personal, and the disgruntled anchor fired from his job in Network. Film buff Murray Horwitz names his favorites, so what's yours? 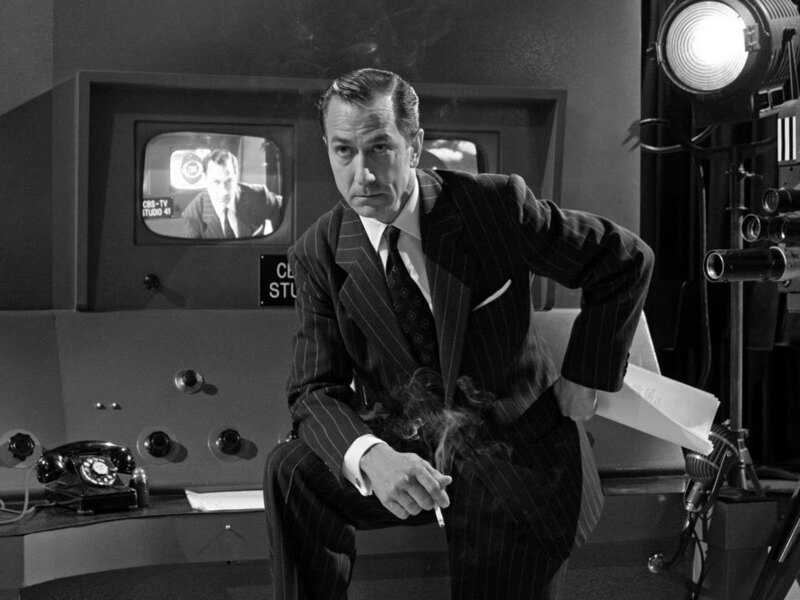 David Strathairn played Edward R. Murrow in Good Night and Good Luck, which was nominated for six Academy Awards. Hollywood tells many tales of the news business: the doe-eyed music reporter trying to get the big story in Almost Famous, the eager television reporter who has a lot to learn in Up Close and Personal, and the disgruntled news anchor who's fired from his job in Network. Films like these help to document — and sometimes poke fun at — the news business and those involved with it. NPR's Neal Conan and TOTN's favorite film buff, Murray Horwitz, discuss their favorite movies about the news business and what those films reveal about the industry and the people who make careers in it. Tell us: What's your favorite movie about journalism?